Shellacked, darkened sheep relief. 3 medium sheep on top, 1 medium sheep to right middle, 2 small sheep on bottom right corner, and 1 large sheep at left bottom. 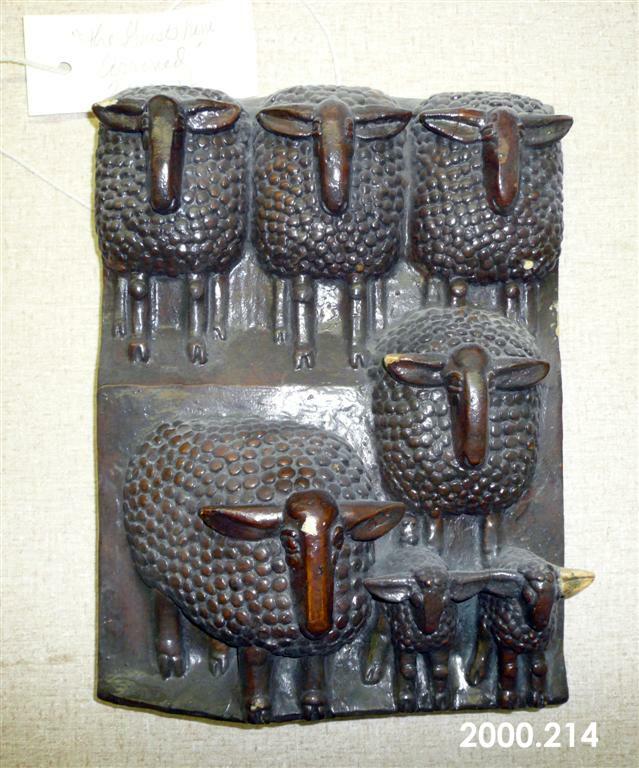 Fredericks, Marshall M., 1908-1998, “Sheep Plaque, The Guests Have Arrived, Relief, [Plaster],” Marshall M. Fredericks Sculpture Museum, accessed April 22, 2019, http://omeka.svsu.edu/items/show/6308.